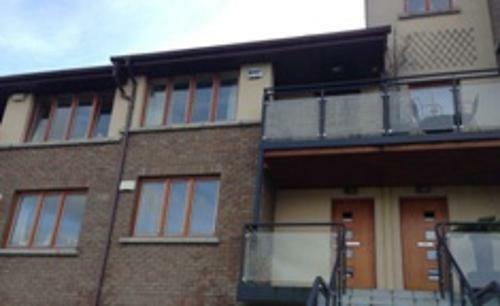 Located on the outskirts of the city this apartment is ideal for a family vacation or corporate rental if visiting Dublin for business. The Luas (tram) is just a 10 minute walk from the apartment offering excellent access to the city centre. There is a range of excellent shopping in Belarmine itself with an excellent supermarket just 2 minutes walk from the apartment. The proximity to the city is matched with easy access to Wicklow ‘The Garden of Ireland’. Enniskerry with Powerscourt Townhouse and Gardens is just 10 minutes away by car. County Wicklow has plenty to offer in terms of visitor attractions, golf courses and beaches. This vacation rental apartment has its own private entrance. It offers excellent self catering facilities for up to 4 people. The apartment has two bedrooms. The master bedroom is a double room (king-sized bed) with ensuite shower-room. The second bedroom has a set of bunk beds. The living area is open plan with living area and dining area and excellent modern kitchen. There are all the modern conveniences expected including washer/dryer, dishwasher, oven/hob, kettle, toaster and microwave. The kitchen is fully equipped. Enjoy multi-channel TV with NTL service. There is WiFi for guests’ use. There is a small balcony to the front offering a tranquil spot to unwind overlooking a quiet green area. Utilities are charged at €10 per day. One of the largest shopping centres in Europe, Dundrum Shopping Centre, is just a few stops away on the Luas. Here you can avail of shopping, dining and great entertainment. There is a multi-screen cinema with all the latest blockbusters. If you are looking for something a little more personal check out the Mill Theatre for live theatre productions. There are restaurants to suit all budgets and tastes. For a special holiday treat why not take the kids to Hamley’s Toystore. For full details on the centre why not visit www.dundrum.ie and see for yourself what’s on offer. Stillorgan can be accessed easily by Luas or car. There are plenty of attractions here including Stillorgan Shopping Centre, Bowling and Cinema. There are a number of restaurants and pubs in Stepaside village within easy reach of the apartment. When you have checked out the local area why not go a little further and take the short trip into Dublin City using the Luas. After just a 10 minute walk you can take the tram to St. Stephen’s Green right at the top of Grafton Street. Enjoy a walk in the park or take a stroll down Grafton Street and enjoy a cup of freshly brewed coffee in Bewleys Café. Wander on a little further and pay a visit to Trinity College.